Why is Satan in the Grimoires? All of this plays perfectly into a question I’ve long pondered about the Solomonic grimoires themselves: Why the hell do they even include Satan or demons at all? The texts arose from Christian tradition; in many cases written by clergy, or at least by very devout educated Christians (who received their education from clergy). What would possess these people to include spells for summoning Satan, Lucifer, Leviathan, Oriens, Paimon, Amaymon, Ariton, the 72 demons of the Goetia, etc, etc? Why should there exist a text called The Harrowing of Hell? Not only does this appear to run counter to the faith of the authors, but they were doing this in a time and place where they could be killed for far lesser religious infractions. Were these people secretly Satanists? Medieval Church propaganda notwithstanding, there is no evidence to be found that the authors of the grimoires were worshiping Satan. What we do find in the Solomonic texts is a cosmology that doesn’t fit comfortably into the mold of fundamentalist Christian dogma. Not that it doesn’t try! Thus we have instances where perfectly non-infernal spirits of nature or the aerial realm are referred to as “fallen angels in Lucifer’s employ.” Because there are “either angels or demons and nothing else,” we find the grimoires labeling every faery, pixy, dryad, gnome, sylph, salamander, and undine a “demon from hell.” Them and, of course, every pagan god in the history of the world. Instead, what we’ve received is—cosmologically speaking—a confused mess. They can’t make up their minds if all demons are evil or if some are actually nice guys after all. 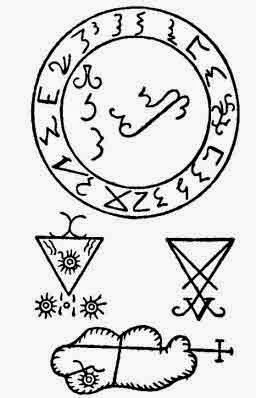 (Even the Goetia of Solomon includes spirits who “wish to return to the divine Glory” in the future.) Some texts will sternly warn you against ever trusting or invoking Satan in one chapter, and then include instructions for summoning him in the next (see the Book of Abramelin). Even angels are a source of confusion: many of them have very ancient underworld associations (for example, the angels of Mercury, Mars, and Saturn), so one grimoire might list such an entity as an angel, while the next could have him listed among infernal spirits. So the question we must ask is: why did this happen? What was going on in that culture at that time to produce such confusion? Why address the underworld at all, and why is the whole genre such an ontological disaster? The answer is: The grimoires didn’t arise in a cultural vacuum. Beneath the obvious Christian veneer, the Solomonic tradition was heavily influenced by local forms of witchcraft and extra-Christian occult currents such as we see in the Picatrix, Testament of Solomon, and the Greek Magical Papyri. To be frank, the authors of the grimoires sought occult wisdom from every source they could lay their hands on, the Church’s dogma be damned. And what did they find when they explored these ancient systems of magick? The underworld is what they found! Today, people tend to assume there is a wide gap between the celestial gods and angels (the good guys) and the infernal spirits (the bad guys). However, relatively speaking, this view is young, naïve, and extremely shortsighted. Throughout most of human history, going all the way back to the most primitive tribal witchdoctor, magick was primarily associated with the underworld. 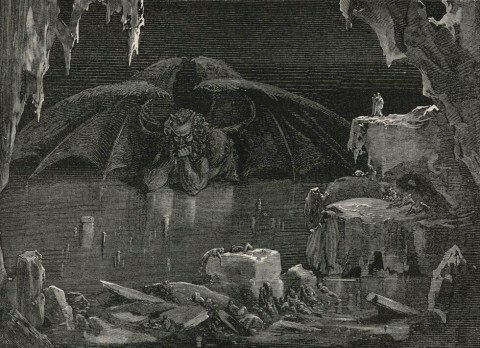 And by this I do not mean “the infernal realm.” While there were unpleasant areas of the underworld (such as Tartarus), there were also paradisaical areas. All of your ancestors were there—which is why the underworld was the central focus of one of the world’s oldest religions (ancestor worship). Plus all of the celestial deities traveled through that realm on a daily basis, descending into the the underworld at dusk and arising, reborn, in the east at dawn the next day. There were entire mythical dramas associated with the gods’ nightly passage through the underworld (such as we see preserved in the Egyptian Book of the Dead). Even the truly harmful (infernal) spirits were not viewed in the dualistic “good vs evil” sense the Church would later apply to them. Sure, they were fiery and nasty. Yes, they represented sickness and injury, plague and famine, war and death, and all of the ills of society. But they were important spirits because those unpleasant things were in their jurisdiction. One of the primary jobs of the tribal shaman, as a healer, was to enter the underworld and negotiate with the beings there for the return of the souls of sick and dying people. 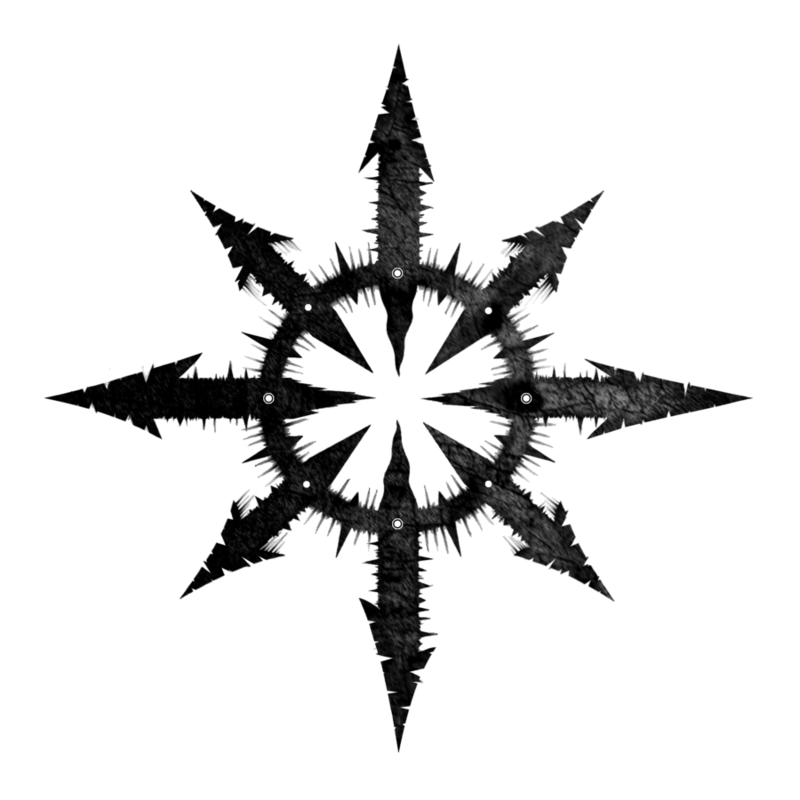 An entity that could bring sickness could also take it away. One who knew the pathways of the dead could also bring souls back along those paths. The same spirit that might keep the herds away could also bring them to the hunt. These same fiery spirits were called upon for protection in travel and war, and to reveal the hidden mysteries during initiations. A tribe needed these guys on their side so they could be safe from them. So, the fact is that Western occultism has always focused upon the underworld. And any medieval grimoire mage would have been more than aware of that fact. Quite simply, magick that works (that gets things done in the real world) typically involves ancestors, the dead, and either chthonic entities or deities that tend to pass through the underworld a lot. You need to know your way through the underworld passages to heal the sick, find lost treasures and wisdom, earn the friendship of spirits who could otherwise cause you hardship, etc. And, in most cases, occult initiation involves some kind of descent into the underworld and/or confrontation with demonic beings. As Satan was regarded as the “Lord of the (physical) world,” he was also equated with the Greek nature deity Pan—from whom Satan gets his goat horns and hooves. In this guise he governs all of the spirits and elves and spirits of nature—who also become evil demons in this cosmology. And so harrow hell they did—but as faithful Christians rather than devil worshipers. 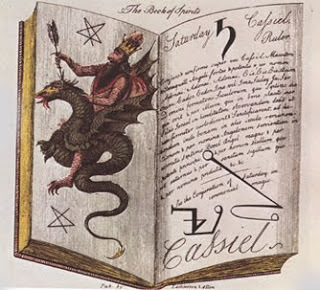 The texts typically invoke God and the angels when conjuring the spirits. (And those texts that instead invoke higher ranking demons, rather than calling on celestial aid, still do not include such phrases as “…my Lord and Savior, Lucifer.” Instead we find triangles and other talismans intended to subdue and command the infernal spirits, magick circles to protect the mage from their fiery wrath, and even the best spirit-torture techniques used by exorcists in case the spirits got out of hand. What we see in the grimoires is the result of actual occultists—shamans in their own right—trying their hardest to find a middle ground between real magick and the limited dualist cosmology within which the Church expected them to live. That they were devout Christians is, in my opinion, not in doubt. But the ancient (pagan) sources from which they were drawing their knowledge simply couldn’t fit comfortably into the “angel good, demon bad” mindset. Therefore, they compromised by hiding serious magick, and the spirits of the underworld and nature (helpful or harmful), beneath fundamentalist rhetoric about Satan and Hell. What should be assigned to Hades and Pan became the domain of Satan. The brute force of the sea became Leviathan. All of the Jinn and Faery became the footsoldiers of Lucifer. That the Church considered them all “evil” was really a secondary concern. Stay tuned for part two of this discussion, “Why Work with Demons?,” where I will explore the reasons why a modern practitioner might choose to work with dark and infernal magick.